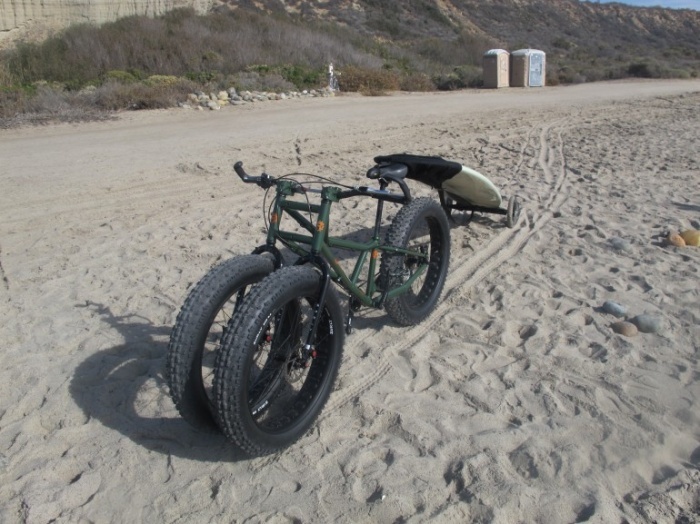 Rungu Fat Trike is Perfect For Loose Terrain | OhGizmo! By Hazel Chua on 03/25/14 • Leave a comment! Not all trikes are created equal. If you’re looking for a trike where you can get to places with least difficulty–at least, when you’re on loose terrain like sand–then the Rungu fat trikes might be what you’re looking for. Rungu was developed by a father-and-son team who experienced first-hand how difficult it can be to traverse on sandy paths on typical trikes, especially if you’re carrying something large or heavy, like a surfboard. 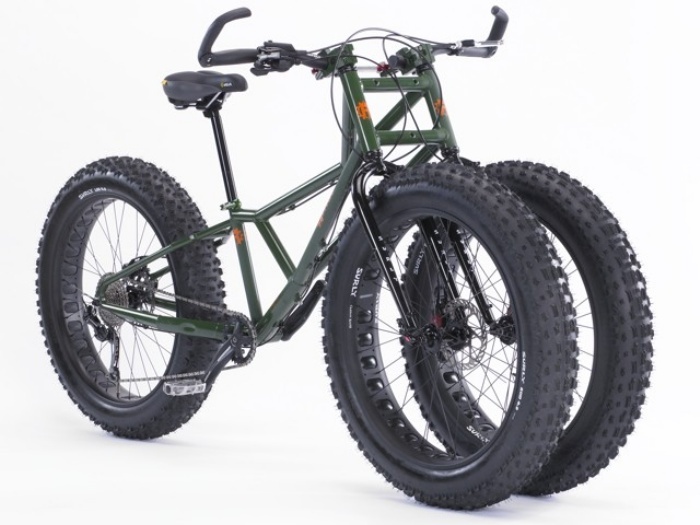 Two designs are available: the Juggernaut, which comes built with three fat 26 x 4.7-inch tires, and the Kilimanjarom which has the fat tire at the back and skinnier 29 x 2.5-inch tires in the front. For navigating through sandy and snowy paths, the Juggernaut is your best bet. But if you’re traveling on harsher roads or hard-packed dirt surfaces, then you should go with the Kilimanjaro. Price start $2500 and $2600, respectively.